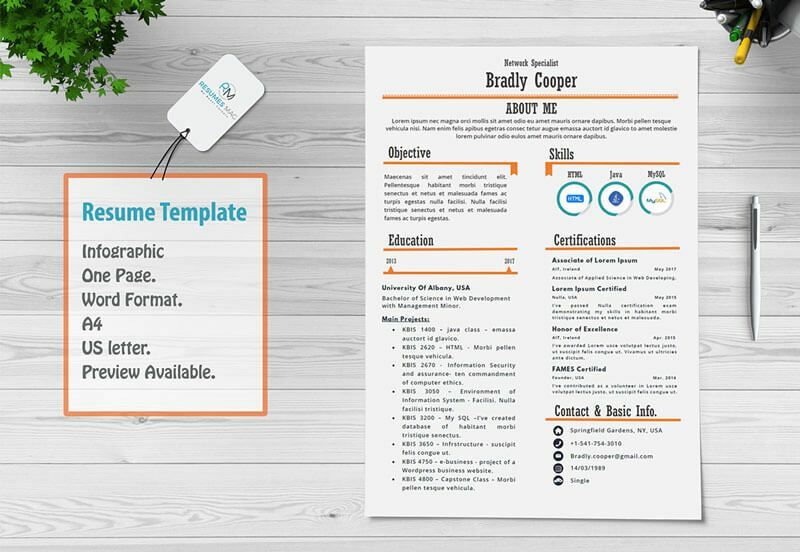 One Page Infographic Resume Template (word format), you’ll find it attractive enough to grab the attention while being simple at the same time to give the best impression, it will give you what you need…Interviews! It is very suitable for you, whether you are a fresher or an experienced employee. It came with three versions; orange, light blue and dark blue in both A4 and US Letter paper size. 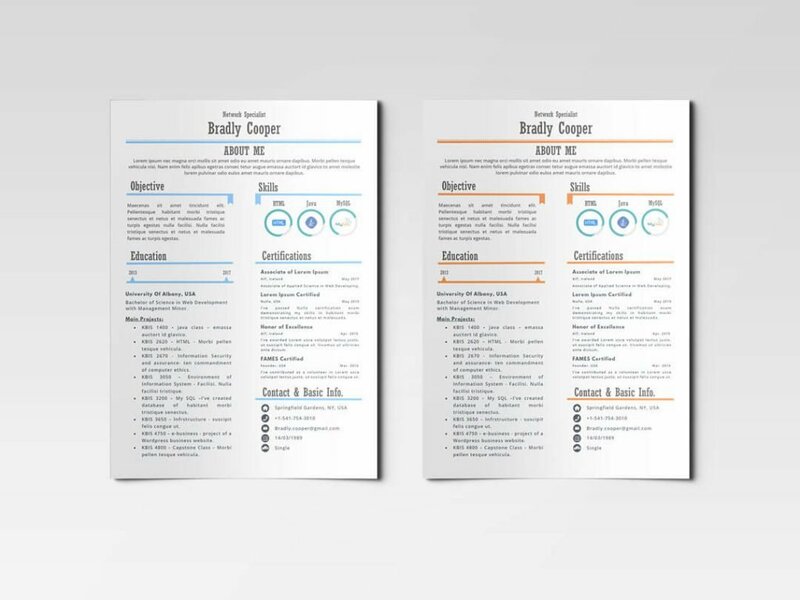 Editable Resume Template files for the three versions (Orange, light blue and dark blue) in Docx files (word format) for both (A4 and US Letter paper size), with an easy layout to edit it the way you like using MS Word. 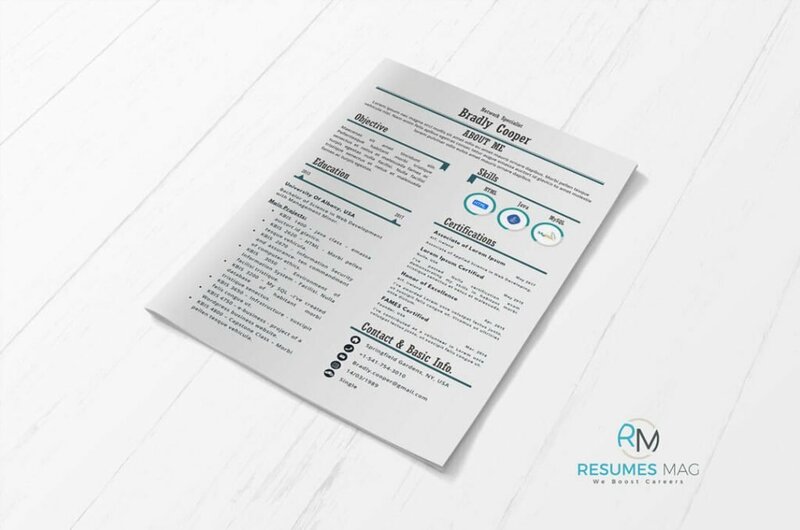 Readme file – contains the basic instructions to guide users for a proper use for Aloha Resume Template. 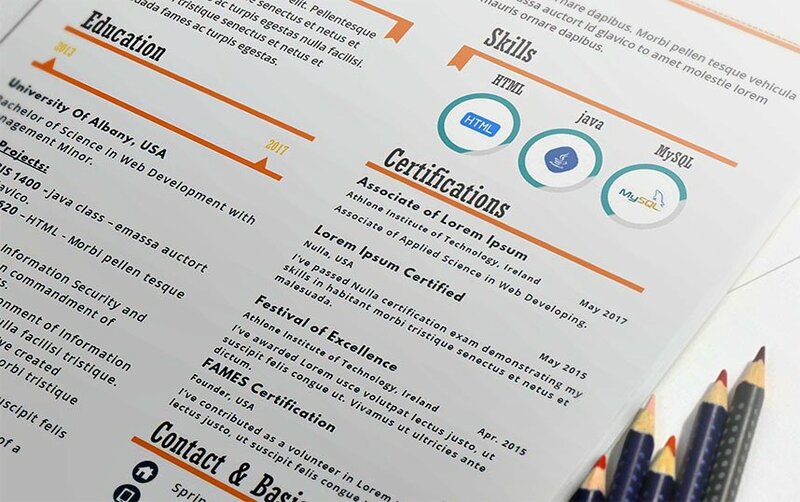 Resume Preview in both JPEG and PDF Formats. For a close-up preview, you can also download resume preview separately prior to purchasing the item by pressing download a preview button.